Crystal Frost was a level planned for the unreleased Sonic the Hedgehog game, Sonic X-treme. 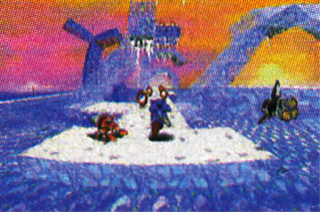 It was the game's winter themed level, full of ice and snow upon a treacherous mountain. There were intended to be at least three acts, whose names would have been "Prism Chorus," "Cryogenesis" and "Icegates." Early concept art also shows it was meant to be part of the ruins of an ancient society. This page was last edited on 6 November 2015, at 10:18.